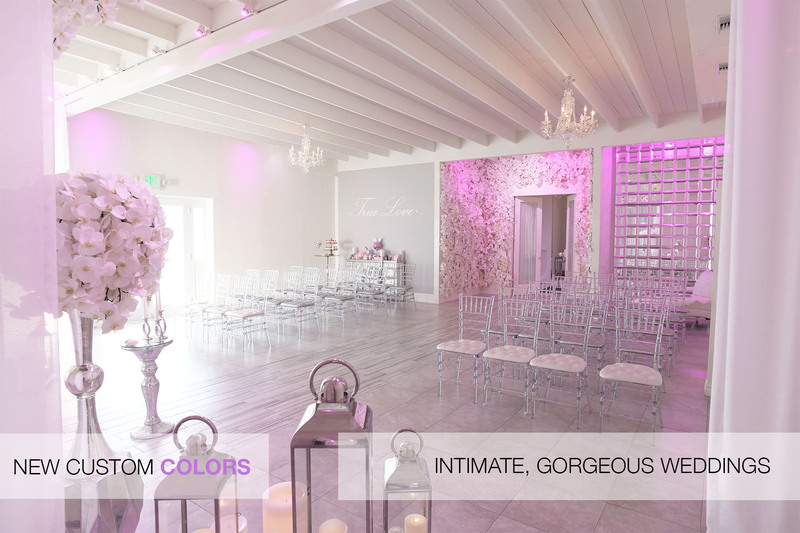 Albertson Wedding Chapel in Los Angeles | Wilshire & La Brea: Instant Marriage in L.A.'s Top Wedding Chapel. 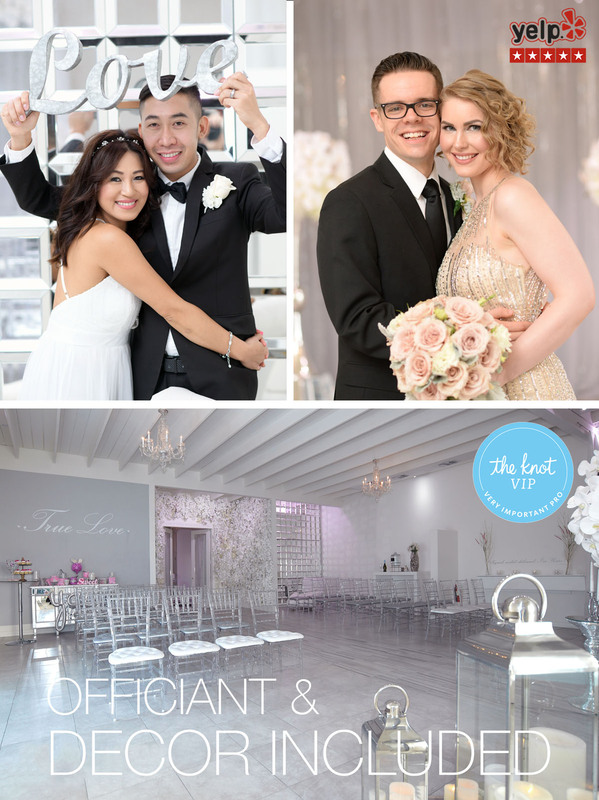 Superb Wedding Ceremonies & Fast Marriage License. 834 South La Brea Ave. Los Angeles, CA 90036 1 block south of Wilshire Blvd. 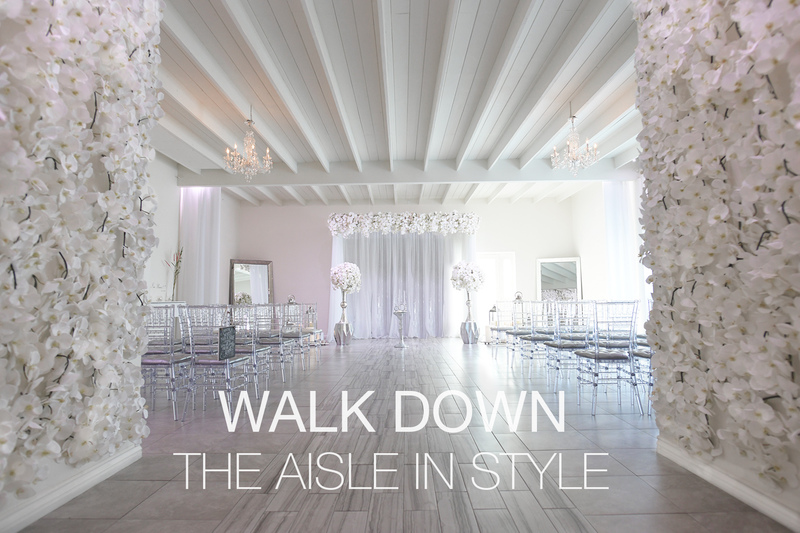 Perfectly simple & stylish wedding ceremonies for 0 to 40 guests in English or Spanish. Get a marriage license here with a valid government I.D. or passport. 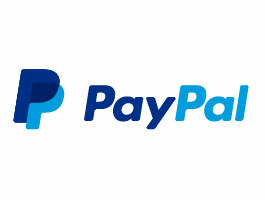 Save time and hassle. Skip the boring lines at the county clerk and the dreary public courthouse. 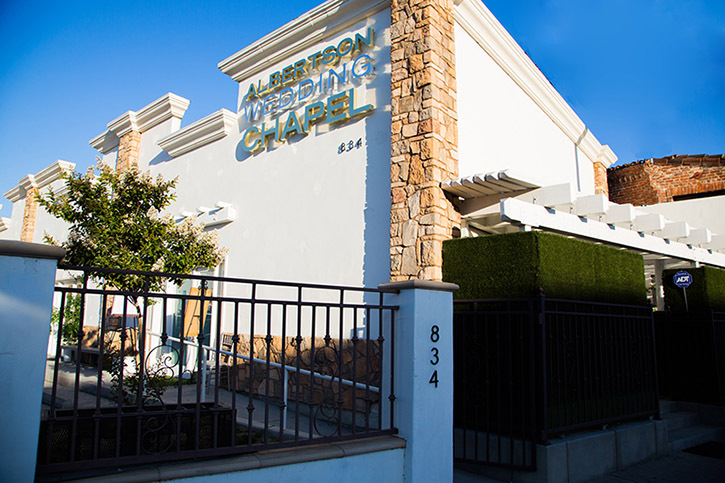 At Albertson Wedding Chapel, we can issue you the California state marriage license on the same day of your wedding. 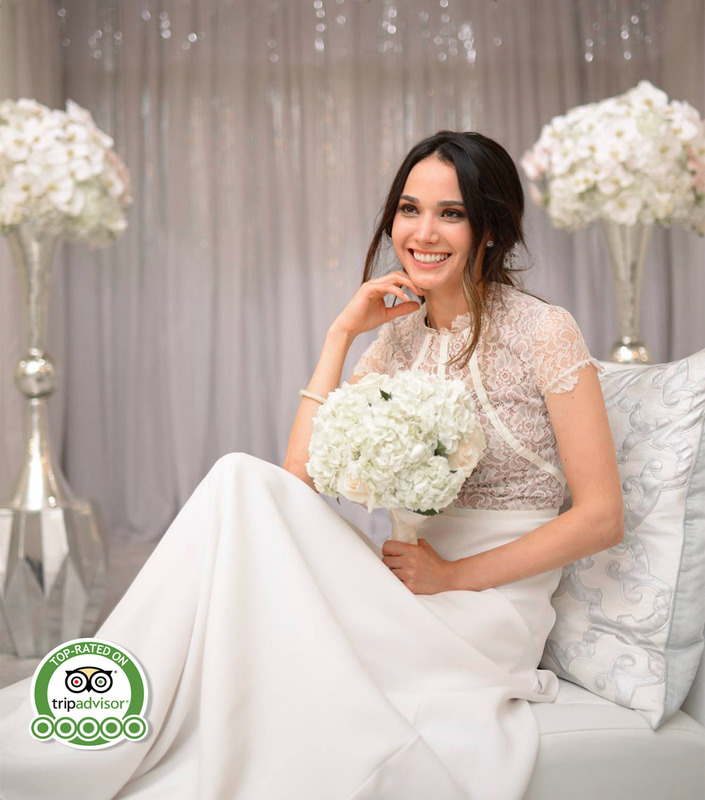 Do you have questions about getting married in Los Angeles? Visit our Albertson Wedding Chapel FAQ page to see the requirements for obtaining a marriage license with us. Our team of authorized notary publics and professional wedding officiants make getting married at our chapel easy & stress free. L.A.’s favorite wedding chapel since 1974. No one else can compare to your fiancé. And no other wedding chapel compares to Us. 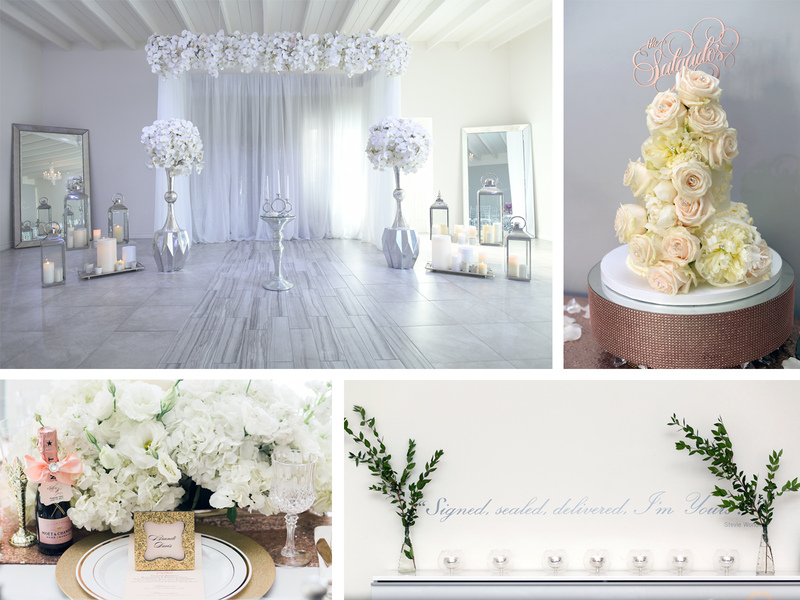 Albertson Wedding Chapel is celebrating 45 years of being the most loved and trusted wedding venue in Los Angeles since 1974. NEW! We now offer wedding reception options at our gorgeous intimate venue!